The demoralising performance-pay legislation introduced under Michael Gove is already being used by some schools to threaten teachers that they won’t be progressing up the pay spine next September. But now there could be further divisive threats to pay on their way. When the Review Body reported last March, they recommended only a 1% increase to the minimum levels of the main and upper pay ranges. However, they certainly weren’t definitely even recommending a 1% increase across-the-board. As far as the Review Body is concerned, national pay scales and national pay rises are already a thing of the past. They believe schools should “decide annual pay awards for individual teachers on the basis of performance” and stated that “our recommendations on pay … are not intended to translate into uniform pay increases within every school". Perhaps to test out their divisive proposals further, they recommended a higher 2% maximum increase “to the maxima of the main pay range" only. But, again, the proposal was not meant to be read as an automatic 2% rise for all teachers on M6. They made clear that "We would not expect all teachers on the maxima to receive a 2% increase: the full uplift should be awarded only where merited by performance. Some might receive a lower award, or none". If these proposals are adopted in the way the Review Body suggests, it would open the door to divisive teacher-by-teacher annual pay awards and the ending of national pay scales applying equally across different schools. Against a background of budget cuts, salaries would be driven down and teachers further bullied and divided through differential pay increases. The Review Body proposals have since been out for ‘consultation’ but the General Election has further muddied the waters, with the new Tory Government apparently reviewing everything that was under discussion before, even though, in Education, the Secretary of State hasn’t even changed. So, although pay awards are due in September, nothing has yet been confirmed. We don’t yet know if the divisive Review Body proposals will be introduced – or if something even worse might be proposed, perhaps enforcing the abolition of pay scales? • Convene a further urgent meeting of the Salaries Committee if necessary to discuss any proposals from the Secretary of State. In contrast to England, the Donaldson Review ‘Successful Futures’, prepared for the Welsh Government, is proposing an integrated curriculum, assessment that supports learning and a central place in education for creativity. As it correctly explains, ‘the high degree of prescription and detail in the national curriculum, allied to increasingly powerful accountability mechanisms, has tended to create a culture within which the creative role of the school has become diminished … At its most extreme, the mission of primary schools can almost be reduced to the teaching of literacy and numeracy and of secondary schools to preparation for qualifications’. Teachers - and politicians - in England should take note! One of the attacks that may be made on the Donaldson Review is that exam pass rates are apparently lower for Wales than in England. As we discussed on the Executive, this might be partially related to greater funding pressures and levels of poverty in Wales. However, that’s only part of a bigger debate. Tellingly, a member of the Executive from Wales reported that they achieved well in international PISA comparisons when it came to pupil ‘well-being’. In other words, how, and at what cost, are ‘higher’ exam results in England being achieved? Do they really represent an increase in understanding and knowledge? Professor Merryn Hutchings has been conducting research for the Union into the suggestion that there is a growing ‘exam factory’ culture in schools. Look out for its release next month. The National Executive agreed a motion condemning the attacks on the trade union movement threatened by the new Conservative Government. They are planning to introduce ballot thresholds designed to further undermine the ability of trade union members to take lawful strike action, particularly national action that could challenge their attacks, such as that agreed on education funding at 2015 NUT Annual Conference. Insisting on at least a 50% turnout - and that over 40% of the total membership votes ‘yes’ in ‘essential public services’ such as schools - has nothing to do with ‘democracy’. These thresholds would, for example, have turned Ireland’s recent marriage equality referendum victory into a ‘defeat’. It should be for trade unions to decide if they think support is broad enough for action to be called – not for anti-union, pro-cuts politicians to block strike action. The new Trade Union Bill is being introduced, after all, by a Government elected by just 24% of the electorate. If they were really concerned about building participation in union ballots, then they would allow unions to replace home postal ballots with workplace balloting using mobile phones and internet voting. No, their real concern is to prevent firm strike action being taken against their plans for further cuts, privatisation and attacks on public services, and on the pay, rights and conditions of those who work in those services, including teachers. The Tory plans are a particular threat to teacher trade unions organised, as we are, over many different workplaces. Schools will be included as ‘essential services’ and so have the most difficult thresholds to reach. The Tories also plan to make it lawful for schools to employ supply teachers to cover for striking teachers while also toughening rules on picketing. While a well organised school group should achieve these thresholds, securing the turnout required to win a national ballot will be much harder. Therefore, this Bill threatens further fragmentation and our ability to bring members together across England & Wales in a united challenge to Government attacks. It can be fought successfully - but only if a determined public campaign is launched as a matter of urgency. The nine unions in the Trade Union Co-Ordinating Group, including the NUT, have produced a leaflet headed “Unity is Strength, Resist Tory austerity, Defend union rights’, to be given out at the 20 June People’s Assembly demonstration in London. 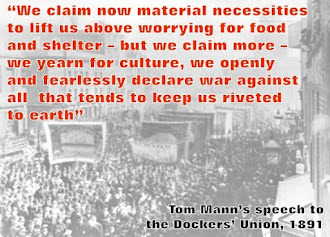 • To call on our national union to work with other trade unions, campaign groups and the TUC to organise the biggest possible campaign of meetings, rallies – and action – to defend the right to strike against austerity. • To call on our union to initiate with other unions and the TUC a demonstration at the Tory party conference in Manchester on Sunday 4 October. • To initiate with other unions and the TUC a demonstration for union freedoms and rights around the time that parliament discusses the new anti-union laws. • To use The Teacher and Reps’ bulletins to clearly explain how the Trade Union Bill threatens our ability to defend teachers, schools and other public services from Government attacks, and why we must organise to oppose these threats. Education and Adoption Bill: This pro-academy Bill won’t finish going through the various Parliamentary processes until October/November. The Union is working with others to call a large meeting in Parliament, building an alliance against this attack on education and democracy. Teacher Turnover and Workload: I reported on the reps’ survey circulated in Lewisham that showed several schools with 20-30% teacher turnover in 2014-15 – and Lewisham will certainly not be alone. It threatens education and union organisation but also provides an opportunity to expose the results of Government attacks and to build support for Union campaigns. I hope the National Union may be able to include turnover issues in its national surveying of reps. A survey, of course, can only be a tool to building campaigns, particularly around workload, co-ordinating action across as many schools as possible.